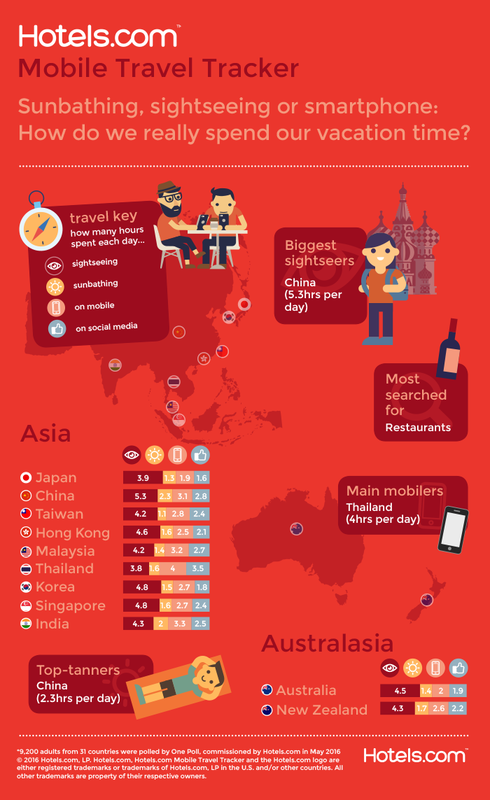 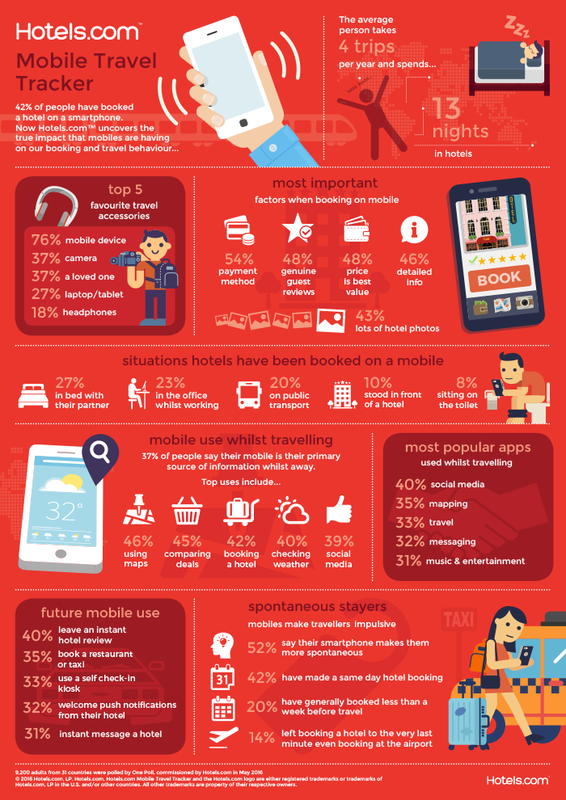 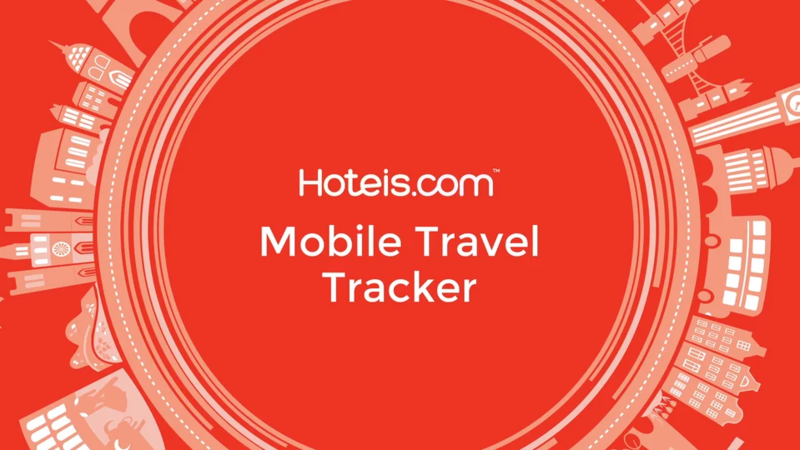 Drench have recently worked on animation and infographics for leading accommodation expert hotels.com. 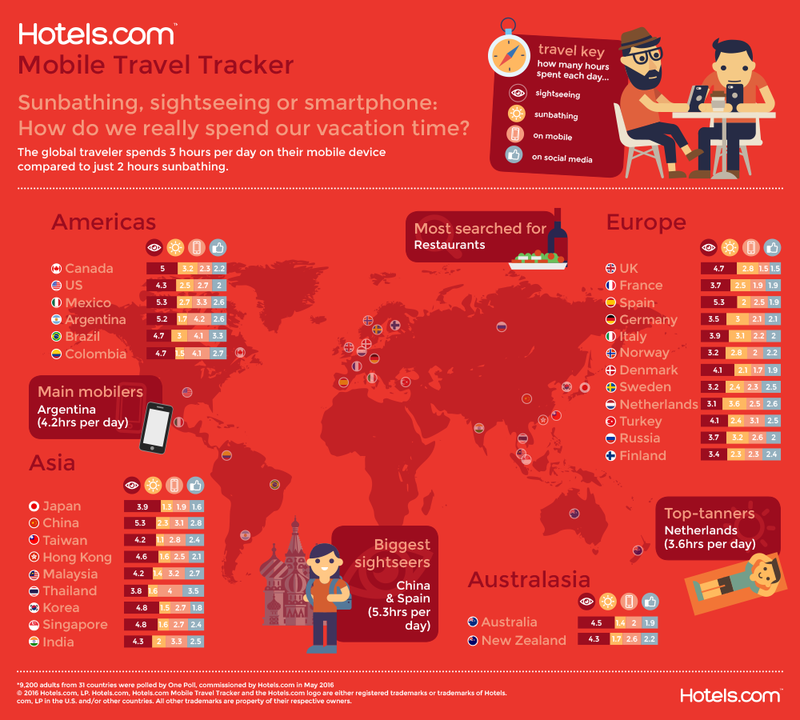 The campaign included local research from countries all over the world and looked at topics such as the most important factors when booking on mobile, mobile use while on holiday, and even the strange places where we’ve booked hotels (10% book while on the loo!). 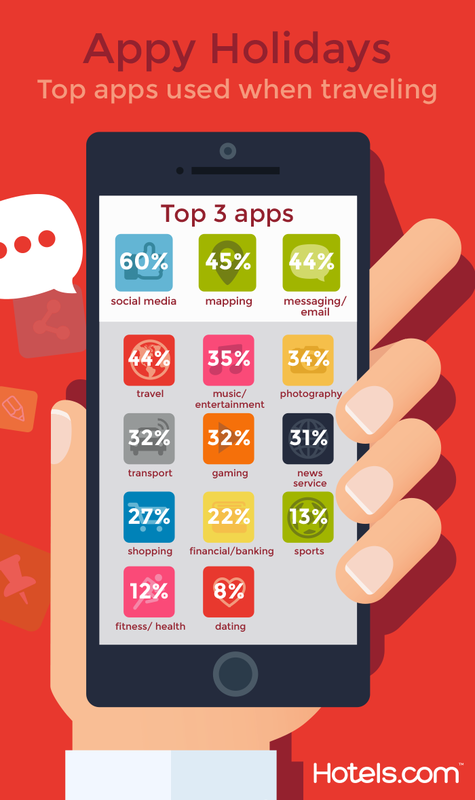 Drench put together an animation to visualise the data as well as several infographics. 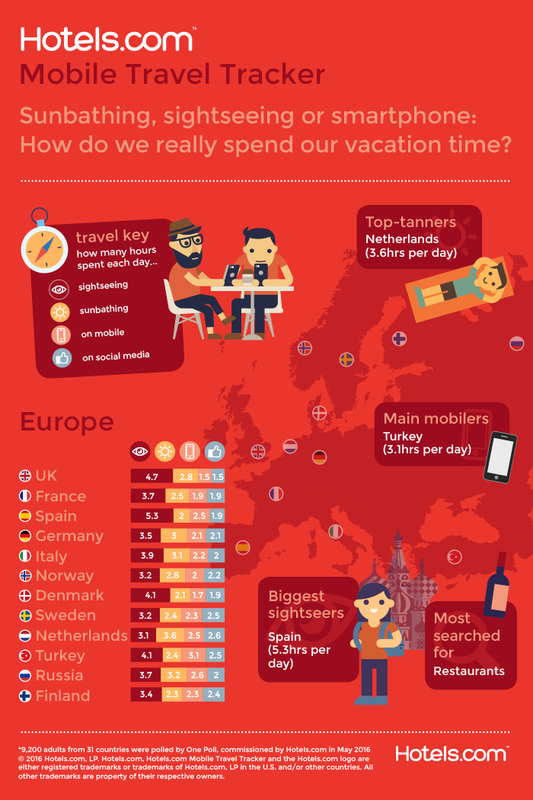 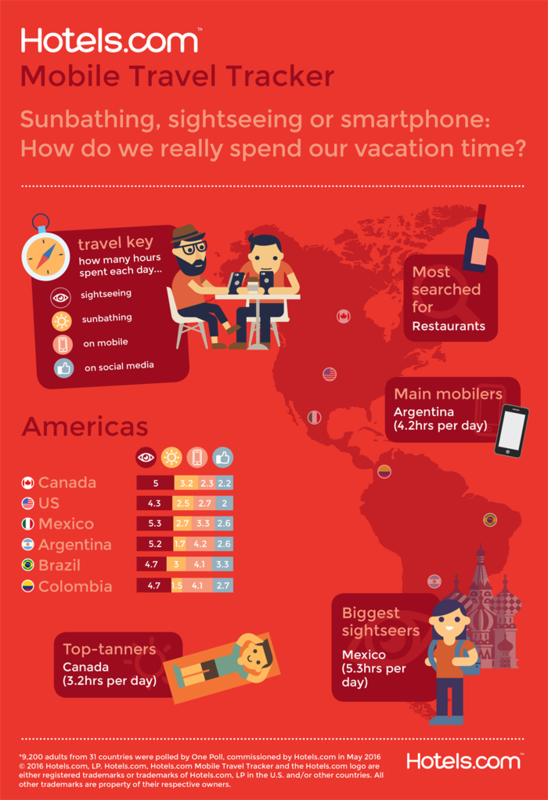 The map infographic broke down how various countries spend their holiday and then split the data into regional versions.